La Muzic de Lady: The Staple Singers "Wish I Had Answered". The Staple Singers "Wish I Had Answered". 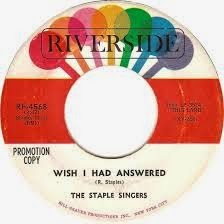 The Staple Singers avec le titre "Wish I Had Answered".